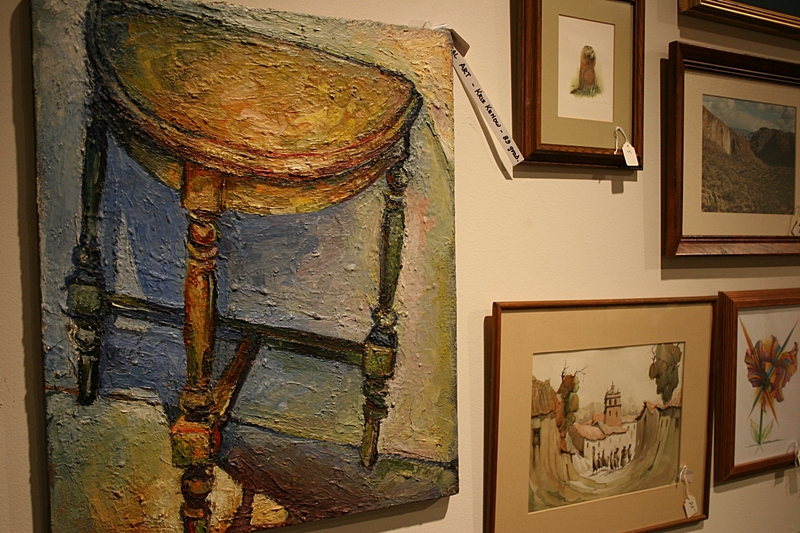 Just a snippet of the art at the Recycled Art Sale, Paradise Center for the Arts, downtown Faribault. ORIGINAL ART at a fraction of the cost. Check. 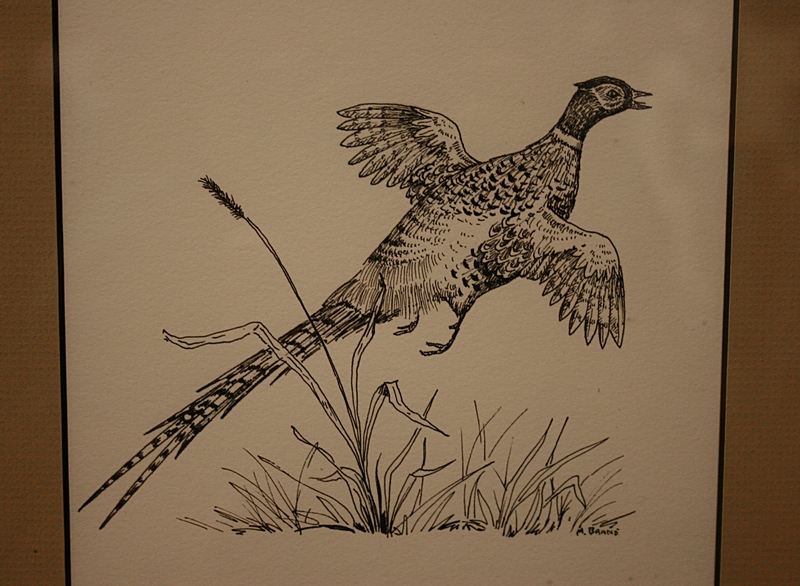 One of many pieces of original art for sale. 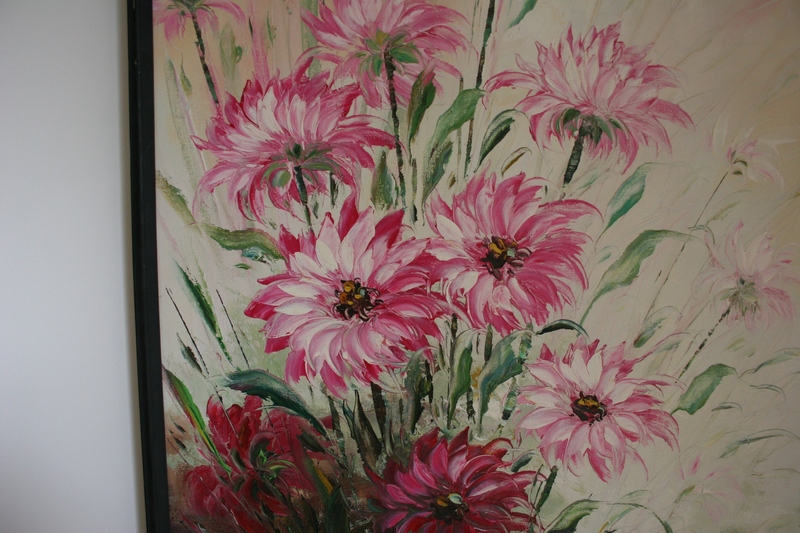 A section of the floral painting I purchased. Original painting purchased for $15. Check. Art of all types is available for purchase. 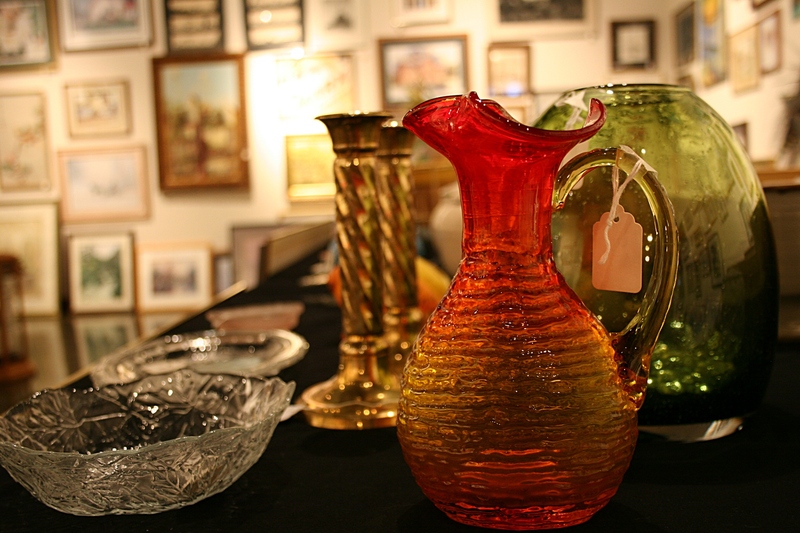 If you live anywhere near Faribault and have not checked out the annual Recycled Art Sale at the Paradise Center for the Arts, race down to 321 Central Avenue between noon and 5 p.m. today or Saturday. 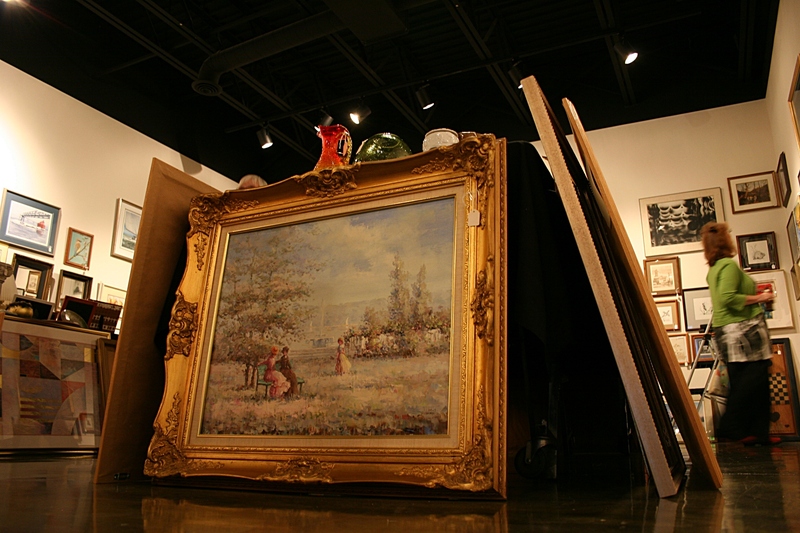 I look forward to this sale every year and have found some great pieces, including an original oil on burlap by Mexican artist Jose Maria de Servin and Theodore de Groot LathArt by Austin Productions. This year I brought home a floral oil painting by P. Willis, whose identity is unknown to me. Pamela? Patricia? Paul? I have no idea. But of one fact I am certain. I love the painting. And that’s the type of reaction Gail Kielmeyer, who serves on the Paradise Gallery Committee and the Mural Society of Faribault—sponsors of the Recycled Art Sale—witnesses among many a shopper. “All of a sudden they fall in love with a piece and have to take it home,” she says. I came very close to purchasing this painting of gladioli. May still buy it. I expect that’s exactly what Kielmeyer and co-volunteer Mary Niermann thought as they watched me peruse the Paradise gallery crammed with everything from original pieces to prints to pottery, sculptures, mirrors, ceramics, and even art books. Prices ranged from a quarter for a dish to $400 for four Vietnamese in-laid mother-of-pearl panels which sold on the first day of the sale on Thursday. And part of the reason may be the incredibly affordable prices. “A lot of people think original art is expensive and for wealthy people,” Kielmeyer says. Not so at this sale. Prices are kept purposely “priced to sell,” giving art lovers who might not otherwise be able to afford original art (that would be me), the opportunity to own original art. That de Servin purchased several years ago cost me $7. The de Groot LathArt, $10. 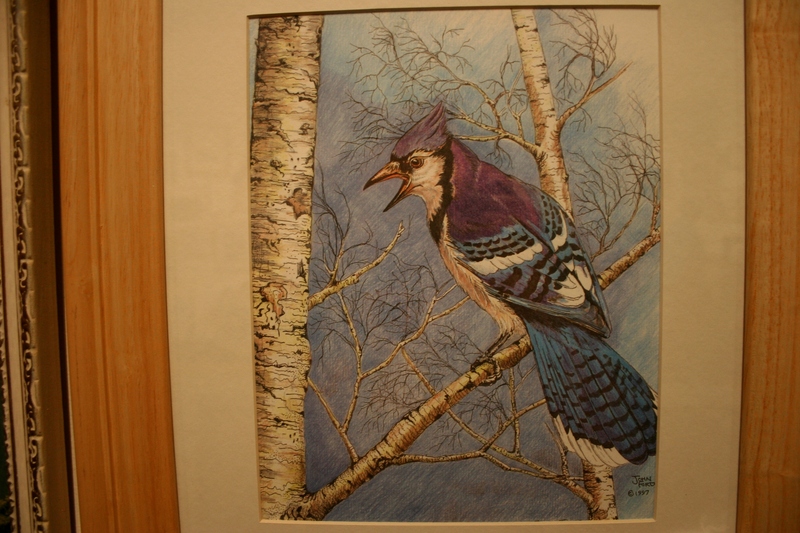 You will find a variety of art from stills to landscapes, abstracts and plenty more priced to sell, many for under $20. Yes. Incredible. 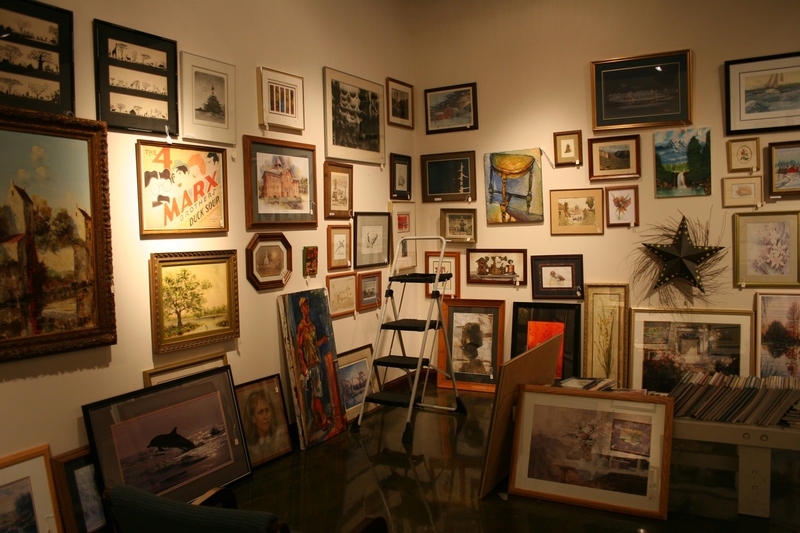 Some artists come to the sale and buy the art just for the frames. 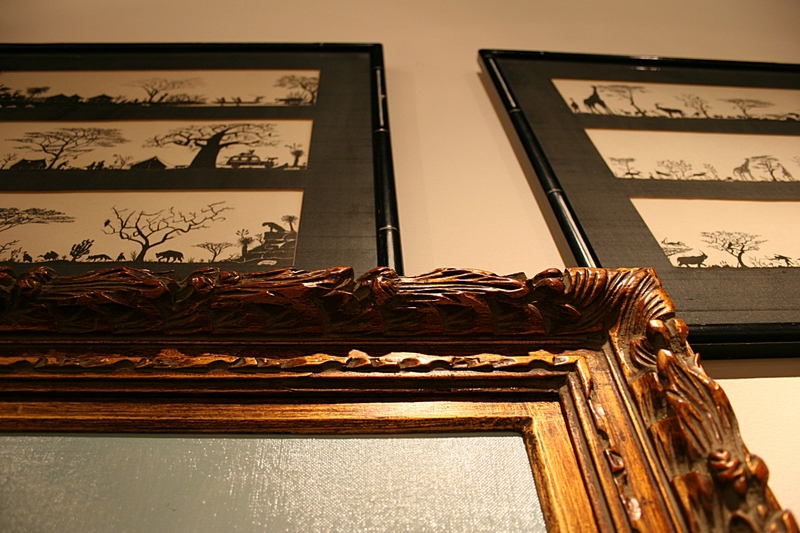 Note the interesting original duo art from Africa, above the frame. Loved it. So the art some no longer want, need or have space for is now recycled into the hands of happy art lovers like me. And, as a bonus, the Paradise and the Mural Society make some money. This year organizers hope to bring in $4,000 from the sale, about $1,000 more than last year. The first sale six years ago brought in $800. Interest grows as do the number of donations and the variety of art offered. 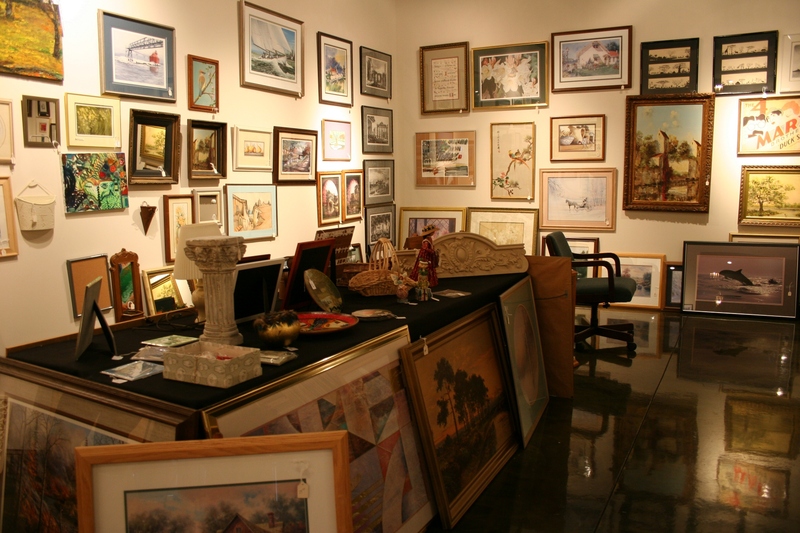 This year an estimated 1,000 items are for sale. Many had already been sold when I shopped on Thursday evening. But you could have fooled me. The gallery is still packed with incredible art priced to sell. If you appreciate a still life. 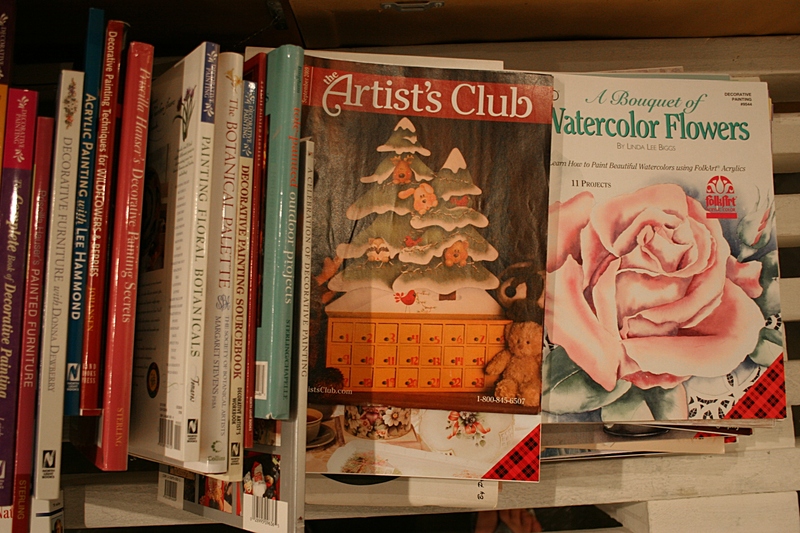 For those who want to learn more about creating art…books and magazines are among the estimated 1,000 items at the sale. I really enjoyed this post and all the photos of fun art! Thanks, Kathleen. It’s a great art sale, with art for all tastes. Oh, I wish I could come check this out! How fun. Yeah, I just may need to go back. Every time I circled the gallery last evening, I noticed something I hadn’t previously seen. Lots of great art here. Love obtaining art this way and the BONUS at times is buying a piece to get your hands on a GREAT frame too, like in pic #5 (love this frame) & in pic #8:) Thanks for sharing. Happy Friday – Happy Weekend! Yes, those two frames you note are pretty great, aren’t they? I have quite a bit of original art, acquired at this sale and at garage/yard sales and thrift stores. I wish I had the money to buy in a gallery and support artists by purchasing directly from them. But I don’t. I enjoy checking out galleries, but I hear you on the buying part unless it is a small, small version of a bigger piece of art it is way out of my league too. 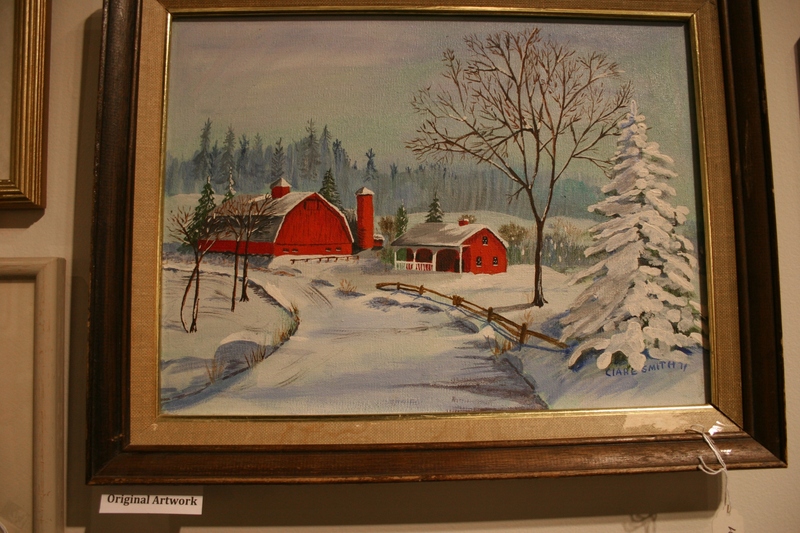 Oh dear….that red barn and snow painting, so lovely. 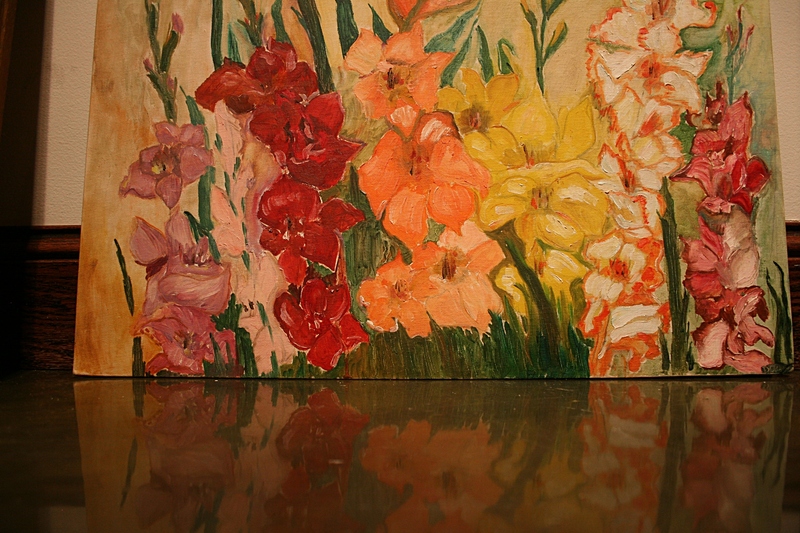 The floral painting you bought is so pretty, where will you hang it? I took down the Jose Maria de Servin painting and hung the floral in my living room. It was time for a switch out. Also, my daughter Miranda read this blog post and then called me about one of the paintings. She was interested in the village/llama painting. It now awaits pick-up this evening at the art center, along with the glad floral, which I decided I could not pass on for $10. Just stopped back this evening and picked up two more paintings. I hope we get to see them! Oh, great idea. I will photograph later and show you. Or, you are welcome at my house anytime to see the pieces in person. Would love to see you and your family again. You are so kind! I might be heading that way later in the summer – I’ll let you know! Excellent. And we may be heading your way this summer since we did not make it to Blue Mound State Park last year. I will let you know also. You’re right on that “always room for one more.” I’m still trying to determine where to place the gladioli painting I went back and bought last evening. Thank you for highlighting this. I think a road trip may be in the plan for today. Great job showing some wonderful treasures that are available!!! Very cool that Faribault has this in connection with their Heritage Days. 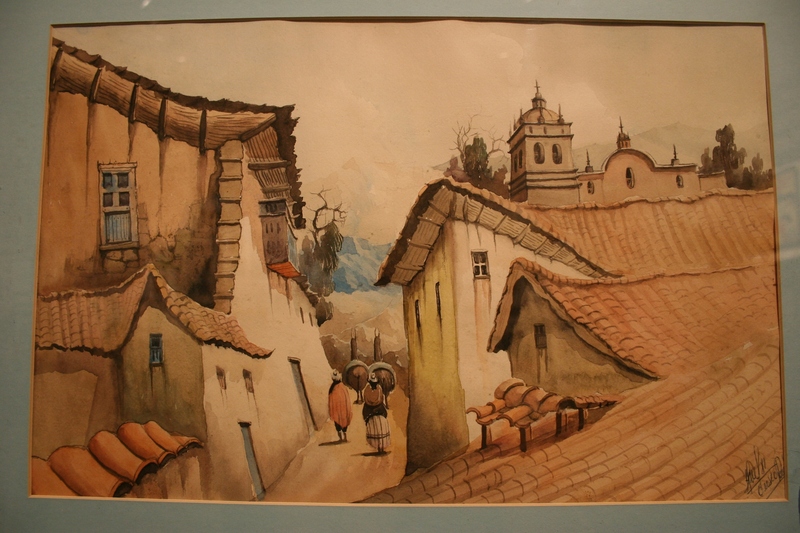 In addition to the two florals I bought, I also got the village watercolor for my daughter. She saw it featured here and asked me to buy it for her. Then, when the son was home for the weekend, we went down there and he found a print.